Brookfield Multiplex has sold its Hilton Surfers Paradise Hotel on the Gold Coast for more than $50 million to a private Chinese-Australian family, the Australian Financial Review reported. 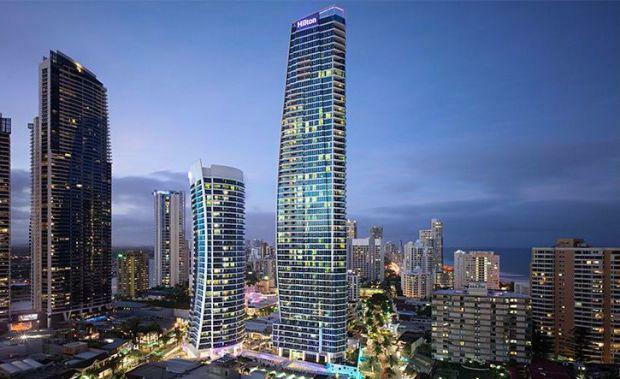 More than $650 million in development sites and hotels have now been acquired by Asian buyers in the past year including the Crowne Plaza at Broadbeach which was acquired for $70 million, the Surfers Paradise Marriott Resort and Spa for $90 million and the Sheraton Mirage for $160 million. The 169 room Hilton was put on the market in March along with the management rights of the hotel's adjacent tower containing 250 residences. The original site at which the Hilton is built was owned by developer Raptis Group before the company collapsed during the Global Financial Crisis. The $700 million Hilton Hotel complex was then developed by Multiplex before it was in turn taken over by Canadian developer Brookfield. China's richest man Wang Jianlin from the Wanda property group has also committed up to $900 million to Jewel, a beachfront resort and residential tower development.